A powerful brightening cream. The revolutionary formula blocks the complex signals which stimulate pigmentation to the skin. It contains a special blend of plant extracts that activate brightening effects for a flawless complexion. Corrects skin pigmentation - discolouration, acne spots, dark spots, pregnancy marks and freckles Evens skin tone Increases luminosity Reduces the intensity of age spots Reduces pigmentation caused by ultraviolet radiation Suppress hyper pigmentation - melasma and post-inflammatory Non oily with a pleasant silky feeling Light absorption with no residue Gentle on all skin types Visible results in just 2 weeks The formula also acts as an antioxidant to prevent the conversion of free radicals that aggravate skin pigmentation. sun radiation, hormonal dysfunction and ot..
A stem-cell based product that regenerates aging tissues. Contains a blend of natural ingredients to boost oxygen and tighten the skin - reducing the appearance of fine lines and wrinkles. 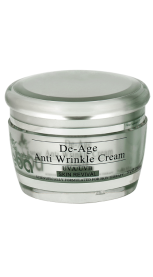 De Age Anti-wrinkle is an instant line corrector that absorbs easily into the skin. 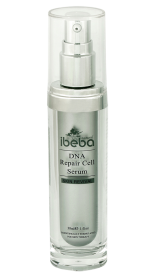 The anti-aging formula increases the reproduction of healthy skin and collagen synthesis. Also contains stabilised enzymes that helps to repair skin damaged due to sun exposure and solar radiation. The active ingredients ameliorate the appearance of photo-aged skin, and promotes wound healing by reducing wrinkles and scar formation. Retain moisture when skin’s water retention levels are low. Digests pigment in age spots Contains anti inflammatory properties Preserves skin natural moisture Antioxidant slows down the aging process Purifies and regenerates..
DNA Repair Cell Serum A lightweight skin moisturiser that accelerates cellular renewal. Has a better absorption rate than other cell repair creams and is suitable for all skin types. Multi-action treatments Exfoliates - Contains exfoliating properties which target superficial skin cells. Skin is visibly smoother with a radiant, youthful glow. Moisturises - Adds moisture and nutrients into the skin’s epidermis to enhance collagen production and fight free radicals for softer, firmer skin. Nourishes - Uses a powerful combination of herbal extracts to give dull skin a new burst of energy. Lightens - Infused with antioxidants to diminish skin pigmentation, discolouration, sun spots and age spots. Heals - Contains a booster to heal cracked skin, decrease inflammation, inhibit oxidative stress, calm and soothe. All you need for flawles..